Reproduced sound comes in two forms: mono and stereo. While the former has been around longer than the latter, both are used in a wide range of applications. This article aims to explain the characteristics that differentiate the two. Used in phones, hearing aids, and talk radio Used in surround sound, movie houses, music recording, TV broadcasting, etc. Mono (the short term for monoaural or monophonic sound reproduction) is a sound reproduction technique where all audio signals are bunched together and coursed through a single channel. Mono requires only one loudspeaker. It can be played through several loudspeakers, but identical audio signals travel through the wires of each speaker which results in the perception of a one-channel sound. In mono recordings, it is customary to use multiple microphones connected to multiple channels on a recording console. However, every channel is directed to the center. These signals are then combined into two identical tracks that are then perceived as a single unified signal. The main difference is that the audio signal does not simulate directional cues. Monophonic systems can still deliver full-fidelity and full-bandwidth, including effective voice and music reinforcement. Mono is still used because all listeners hear exactly the same signal, and in well-designed systems, listeners can experience sound at the same audio level. This also allows superior speech clarity. Monoaural sound is still the standard for telephone networks, radiotelephone communications, and hearing aids. Some radio talk shows prefer to broadcast in mono as it has better signal strength. Stereo, or stereophonic sound, is a process of sound reproduction that simulates audible sound as if it is coming from different directions. This is made possible with the use of two or more audio channels and two or more loudspeakers or stereo headphones. The system is configured in such a way that it simulates the natural perception of sound (i.e. coming from various directions). Surround sound, quadraphonic, two-channel, and two-speaker systems are forms of stereophonic sound. Stereo sound has become common in entertainment systems, particularly in cinema, TV, broadcast radio, and recorded music. 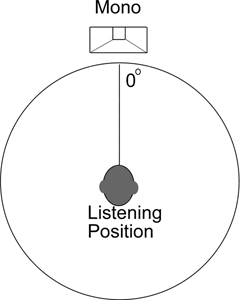 In two-channel stereo recording, two microphones are strategically placed in chosen locations depending on the source of the sound. Both microphones are recording at the same time resulting in identical recorded channels. However, each recorded channel will be characterized with distinct properties (e.g. sound level, timing). 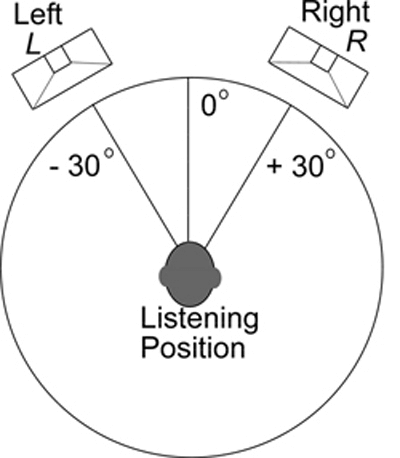 These differences in timing and sound level are used by the listener’s brain to locate the position of the sound source. In most instances, stereo recordings can rarely be played in mono systems without sound fidelity taking a significant drop. So what’s the difference between mono and stereo? Mono, or monophonic recording, is a method of reproducing sound where audio signals are grouped together and coursed through a single channel. In contrast, stereo recording involves reproducing sound using two or more channels. Compared to mono sound, stereo is rich and full of depth which simulates a natural listening experience. Landline and mobile phones, talk radio, and hearing aids still use mono as it uses minimal bandwidth. Stereo sound is used in movie theaters, music recordings, surround sound, and TV broadcasting, to name a few. For more about mono and stereo sound, here’s a YouTube clip.